Edge Health Club understands the needs of parents who are passionate about their fitness but find it difficult to get to the gym because they have no one to care for their children! That is why our fitness centre in Darwin is equipped with a childminding service so that parents can now enjoy the benefits of exercising and knowing that their children are being cared for right under the same roof. 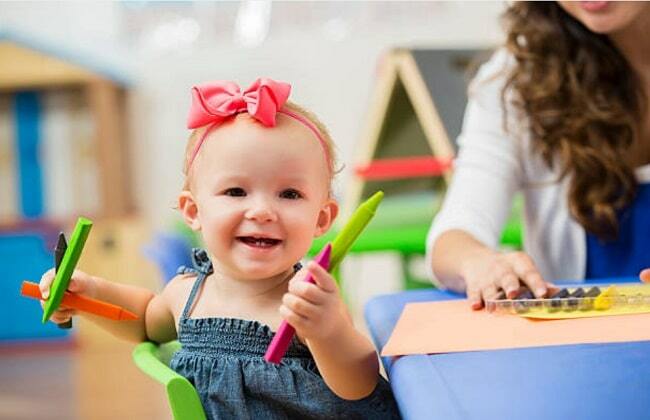 Our friendly Creche staff are fully qualified and always happy to take care of your children. The children have many activities to keep them busy and happy playing and learning while interacting with other children. Our Creche is a very clean and safe environment for your children, and parents can have peace of mind knowing that their children are safe and happy whilst in the care of our friendly and caring staff.